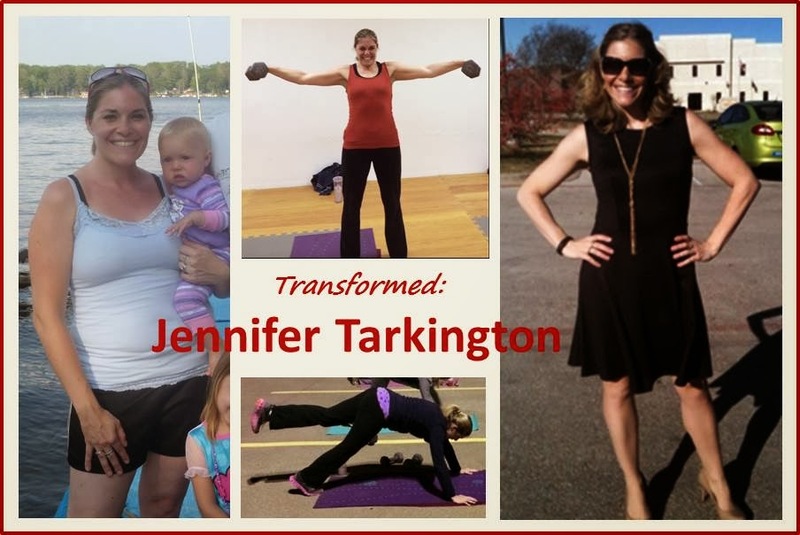 Jennifer's Texas Fit Chicks Success Story! I am married to my best friend, Matthew (almost 9 years now! ), and we have 3 beautiful girls together, ages 5, 2 ½, and 14 months. I am a stay- at-home mom and I also homeschool the girls. My “AH HA” moment was when we moved to Texas in June of 2013 and my clothes were all getting tight on me. It was hard for me to keep up with my 3 little ones. Although I loved to run, I was out of breath after running for less than ½ mile and literally had no energy for my hubby when he came home. I kept telling myself I looked good, it’s ok that my clothes don’t fit me, and it’s ok that I eat whatever I want whenever I want. But it wasn’t ok, I was unhealthy and getting growing more depressed every day when I looked in the mirror. So when we saw the Texas Fit Chicks Groupon deal my hubby and I talked about it for a week and finally he said to me “I know you really want to do this so we are signing you up.” I was hooked! On my birthday in Sept I signed up for 6 months. I love that Texas Fit Chicks is outside (mostly), that it is all women and everyone is so friendly and encouraging. I also love that I get “me time” 3 days a week now too. I have changed so much for the good, I am able to keep up with my 3 little ones now and still have energy for my hubby when he gets home. I look in the mirror and get excited when I see my curves and muscles forming in my arms and legs. My hubby tells me how much he loves to touch my sides—they go in! I also have changed the way we all eat in the house. We used to eat out 3 times a week and usually pizza was two nights. Now I cook 6 nights a week, mostly from scratch! I have been trying to not use processed food as much. I have cut out most of my breads and we keep veggies and fruit in the fridge all the time now. Most of the friends that have seen my transformation want to join Texas Fit Chicks! They tell me every week how awesome I look and tell me they need to do the same thing. My favorite exercise is Burpees. I feel so good after I do them especially the ones with the push up in it. My least favorite exercise is lunge jumps, my legs usually start to give out on me while doing these and end up just doing lunges. But they are definitely something for me to push myself to get better at. One of the most encouraging things for me was when someone gave me some pants that were TWO sizes smaller than I was wearing and one night I decided to try them on and almost every pant FIT me! I was so excited I started to cry and when my sister in law’s wedding came up I bought two dresses—just in case—and the smaller one fit me perfect and that was such a great confirmation to me that Texas Fit Chicks has helped change my life in so many ways! Texas Fit Chicks in East Carrollton meets on the parking lot at the NW corner of East Rosemeade/Marsh. Our winter/indoor space is at Chung's Taekwondo studio in suite #119. Start any Monday where space is available. Email wendy@texasfitchicks.com for details and to reserve your session. Sign up with me athttp://www.texasfitchicks.com/wendy. Let's live the fit life! Jeanie's Texas Fit Chicks Success Story! Congratulations To The 30 Day Challenge Winners! !